Review: I was a little intimidated to read this book because it seems to be on EVERYONE'S favourite book list, every bookshop I go in it's up there on the MUST READ books stand and when I said I was in the process of reading it people were telling me how much they loved it. The problem was, I didn't love it! 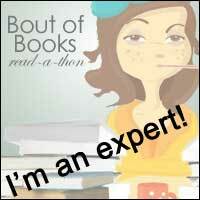 I enjoyed listening to it, I got it on audiobook and it was wonderfully read. I think perhaps if I'd got the paperback, i might have given up on this one because its a long old slog! I liked the concept and I liked the setting, it just didn't wow me in the way I thought it might. The writing though is just beautiful, everyone told me it was beautifully written and this is where the hype is definitely right! The smilies and the description are just gorgeous, I am definitely going to recommend this to some of the kids that I teach and am definitely going to use some of the descriptions of settings and people when I teach that aspect of writing. I would find myself lost in the descriptions as I was driving along listening to it. 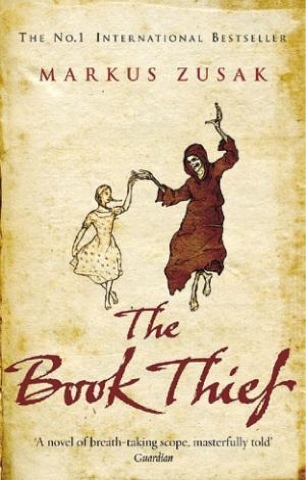 I was really pleased to discover that the book thief was a girl, definitely expected it to be a boy and so I thought making her a girl was an excellent choice and something which makes it stand out from other books. I also liked the fact that death was the narrator and found his asides during the book particularly amusing and at some times poignant. I have read and enjoyed a few books set during the nazi occupation/world war II times recently and so the setting wasn't the problem but I just didn't feel the storyline went anywhere and I think that's why I didn't enjoy it. I liked the characters and I liked some of the individual story lines throughout the novel but overall it didn't wow me. I totally fell in love with Papa and defy anyone not to, I thought that Liesel and her friends were fab characters, I just prefer a book with a definite-this is the beginning, this is what happened, this is an ending. I found the epilogue quite moving and had a tear when I found out the fates of some of the characters in the novel. If you prefer your writing in short bursts of beautiful description then this is one for you. If you are looking for a quick read then I wouldn't recommend this book as your next buy. To read this book for yourself, click here. I'm on Holiday! So what's coming up?